Halloween officially begins with trips to pick out the perfect pumpkin, and carving in time for the big night! One of the best things about pumpkin carving is that you can be creative and carve it however you would like, scary, funny, or goofy! 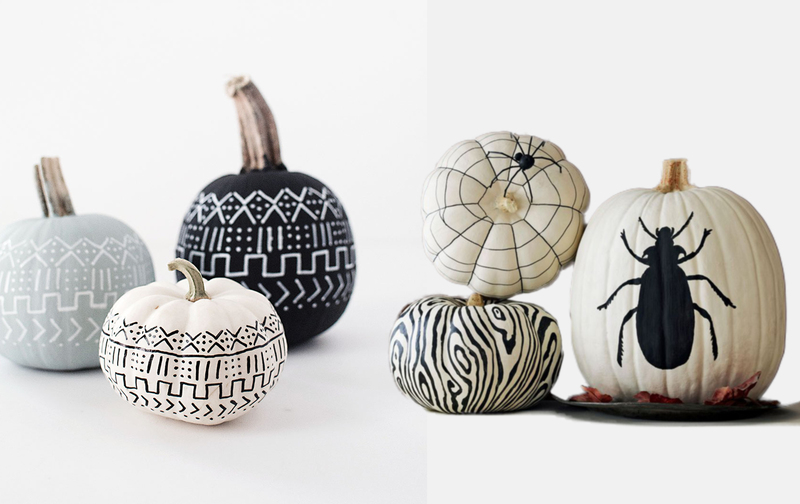 Try something different this year, such as painted pumpkins or decoupage pumpkins! We’ve put together some of our favourite ideas to help greet this year’s trick or treaters. Everyone has seen owls, foxes, even teddy bears, but consider trying something incredibly unique this year, pumpkin porcupines! The ideal pumpkin would be one that has a flat part on one side and rounded on the other. First, cut off the top of the pumpkin to scoop out all of the insides. Be sure to keep the top, as you will later reattach it for your porcupine’s face. The “quills” are made by drilling tiny holes into the rounded side of the pumpkin and pushing white holiday lights through these newly made holes. Once you’ve made your quills, lay the pumpkin on its flat side and reattach the “head” with toothpicks. 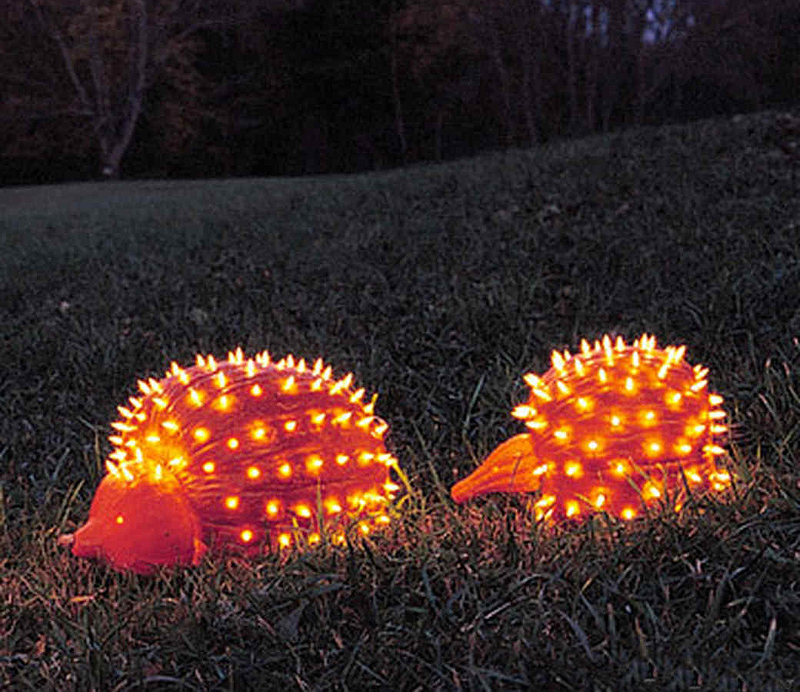 Pumpkin porcupines will make your house a neighbourhood highlight, via Martha Stewart. This year, create a “pumpkin campfire,” safe for your lawn! Begin with picking out 3-4 logs, and placing them on the ground, creating a barrier for the pumpkins to rest on. Next, choose 10-12 pumpkins in a variety of sizes. Using the flame stencil, carve a flame onto each pumpkin. Stack the largest carved pumpkins on the bottom, and then work your way up to the smaller ones. Check out full instructions, including the flame stencil; here. Consider trying this in your fireplace for indoor Halloween parties! 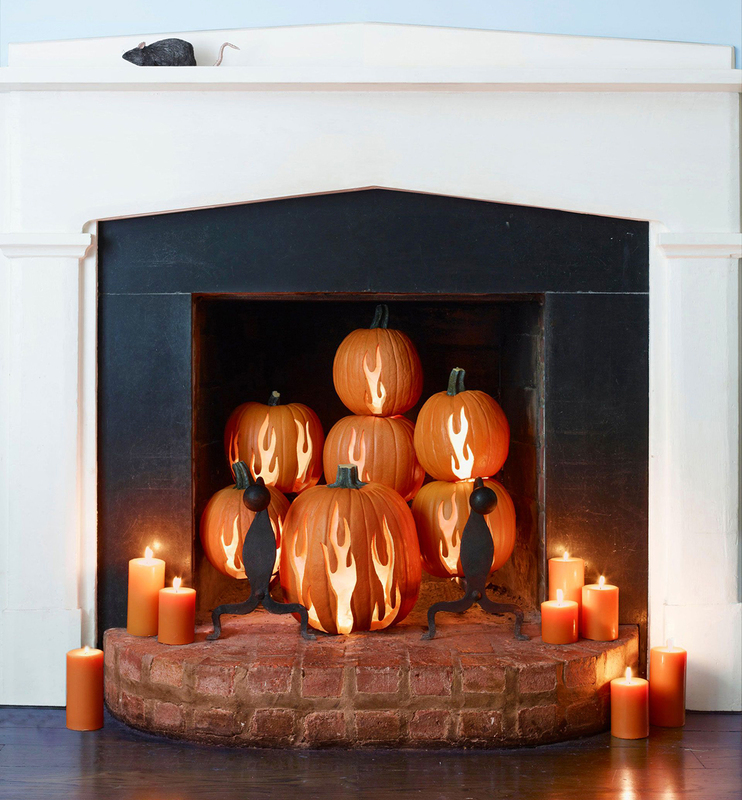 These pumpkin carved flames from Country Living are a hot item! Bright and colourful alien or monster pumpkins will be sure to create some fun for the younger trick-or-treaters! Using craft foam and plastic ornaments, you can create your very own mythical creature. For ideas, check out some scary stencils! 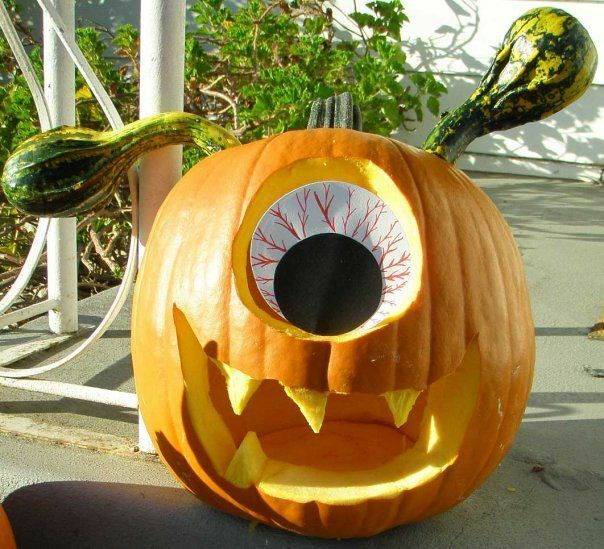 A monstrous pumpkin for your front step, via Better Home & Gardens. Create your very own Drac-o-lantern! Pick-up some plastic fangs and thumbtacks from your local dollar store or craft store. 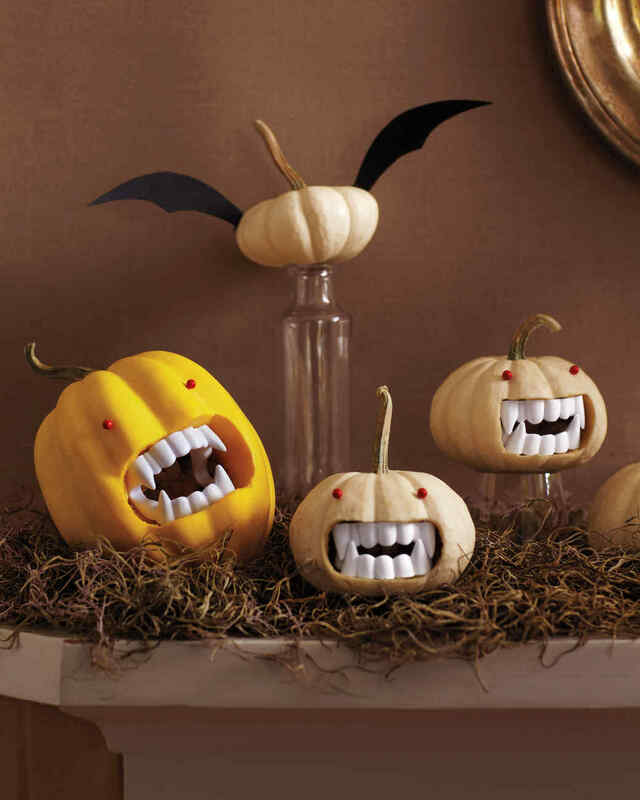 You can find a step-by-step list here, on how to make the perfect fanged pumpkin. Quick tip: Before adding the teeth, add a flameless votive candle, to safely add some light. This year, try painting your pumpkin! Pink, plaid, polka-dots, even Candy Corn painted pumpkins, can brighten and inspire creativity. For a truly Hallow’s Eve effect, check out the Craft Patch Blog for inspired ideas to paint both orange and eye-catching White Pumpkins! Also, consider having a teal pumpkin this year, which lets trick-or-treaters know that your house has treats for children with food allergies! 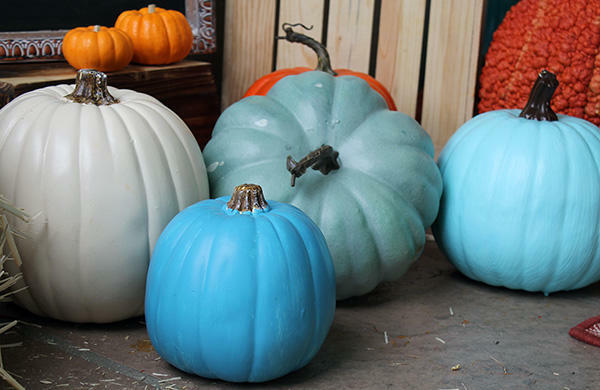 #KeepItTeal with the Teal Pumpkin Project for trick-or-treaters with food allergies. While you have your paint out, consider adding extra effects by decoupaging! 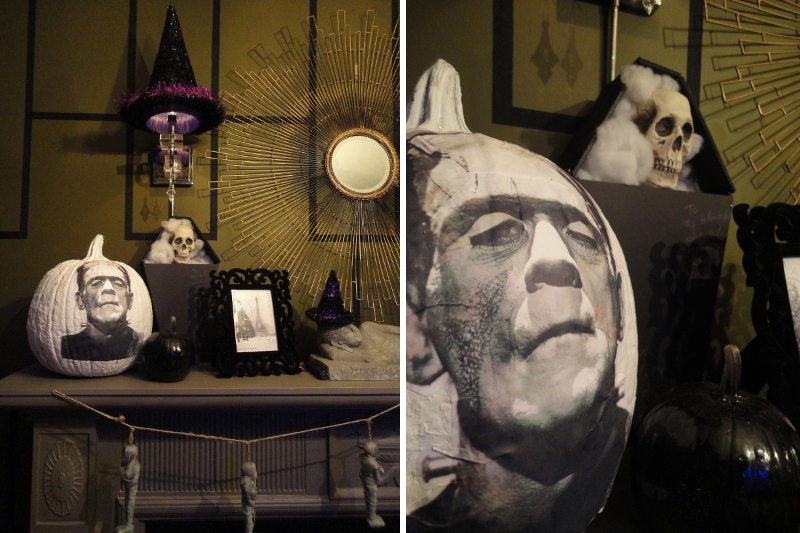 Pull out the Mod Podge and try these spooky creations. Featured in Home Trends magazine, they look so fantastic, you may not have the heart to throw them out after Halloween. Give a decoupage pumpkin a try, like this one from Canadian Home Trends. Want to stick to something more traditional? The ever-classic, carved pumpkin is always a family favourite. Scooping out the seeds and goopy insides, and carving it however you wish! For inspiration, choose between the hand-drawn carvings, or the many different stencils available. 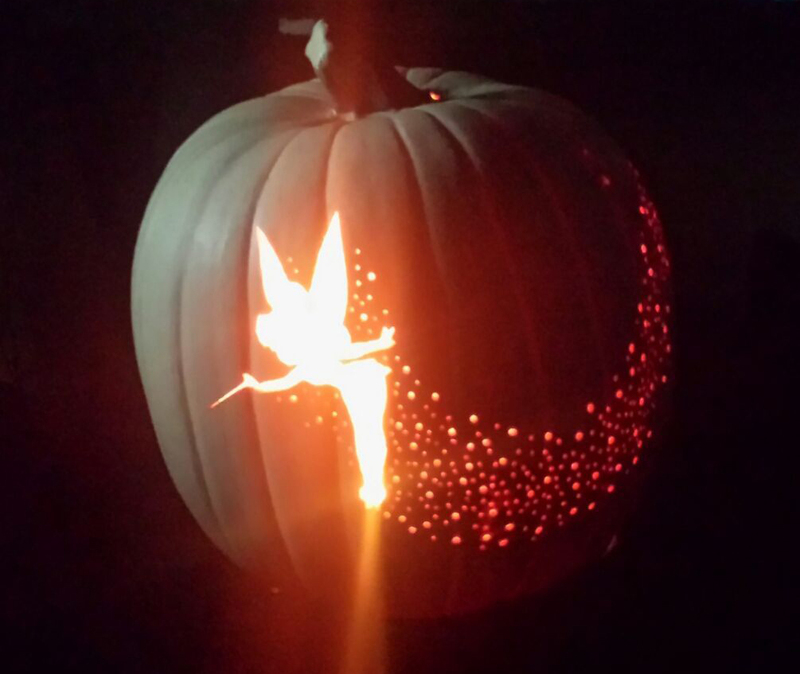 With so many to choose from, including this the Tinkerbell idea, you can create the pumpkin of your Halloween dreams! Makezine gives us an awesome Tinkerbell design. Gone are the days of having to use a real candle in your Jack-O-Lantern. Pick up battery powered tea lights and safely add light to your pumpkin! Happy Halloween! 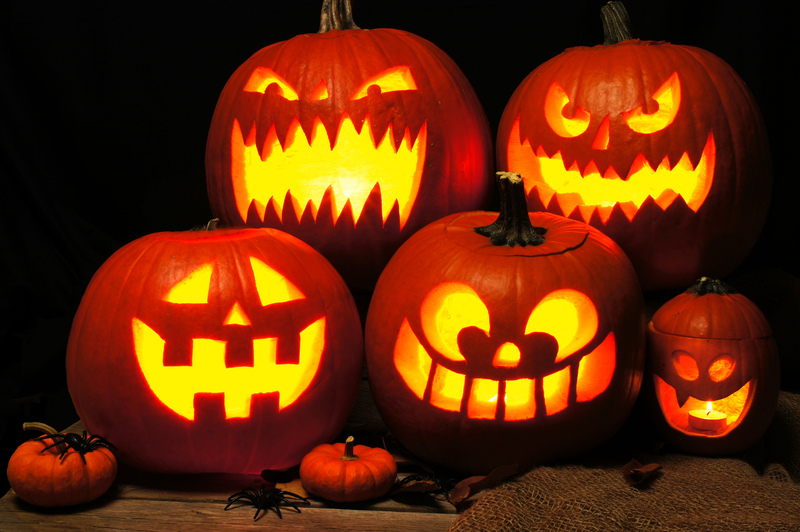 We hope you’ll share with us what Jack-O-Lanterns you come up with for your home!